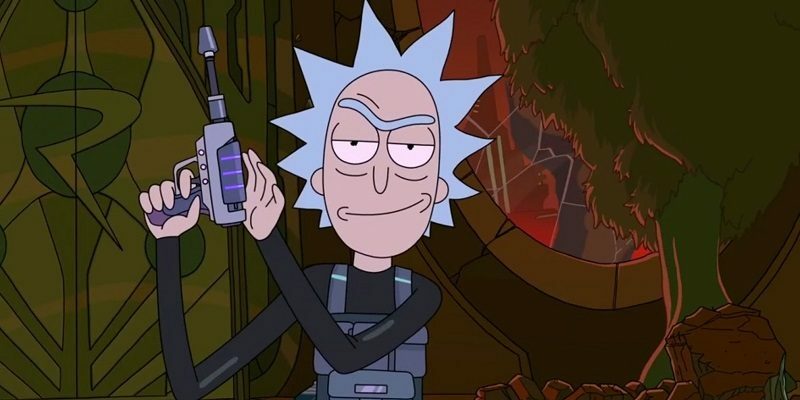 "A love letter for the fans"
It has been a long wait for Rick and Morty fans - 18 months since the season finale of season two - but the show has come back with a hell of a bang with its April Fools' Day 'prank' episode "The Rickshank Rickdemption." "The Rickshank Rickdemption" picks up where "The Wedding Squanchers" ended: Rick C-137 has been imprisoned by the Galactic Federation - where one agent (Nathan Fillion) - is questioning the scientist about his inter-dimensional portal gun, while on Earth the Federation has taken control and has doped up the Smith family with pills. However, Summer refuses to accept Rick's fate and sets out to save her grandfather - even though Morty advises her against this. Rick and Morty is an incredibly special show - it combines smart humor about human nature, science, and philosophy (especially Nihilism), satirizes the sci-fi genre (the show is a thinly veiled parody of Back to the Future), and balances it out with a fair dose of crude humor as well. 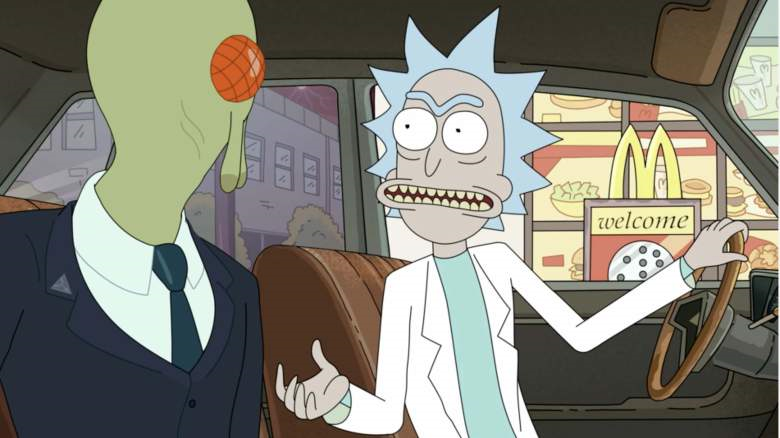 And, with all of this, Rick and Morty has a great emotional core - great heartfelt moments like when Morty convinces Summer not to run away, Rick's suicide attempt, and when Rick surrenders himself to the Galactic Federation at the end of the second season. "The Rickshank Rickdemption" includes all that is great about the show in a terrific 22-minute package. This premiere is a big action packed episode - filled with huge set-pieces and laser battles, emotional conflicts between Morty and Summer regarding whether Rick really cares for them, and, obviously, plenty of jokes (my personal favorite was Morty and Summer's lawyer at their trial). Rick acts like a more deadly and ruthless version of The Doctor as he uses all his wits to take down two of his greatest enemies. The way Rick brings down the Federation is similar to how the Doctor defeats a foe: it subverts expectations, something the show does brilliantly. The other strength of the show is its continuity. Fans of the series know of Rick's struggles against the Galactic Federation, and authority in general, and the season premiere picks up on a number of story threads from previous episodes. Aside from the obvious plot points involving Rick's incarceration, the events of "Rick Potion #9" play a vital part of Summer and Morty's rescue mission, and the Council of Rick reappear - fearing their technology would get into the wrong hands. The way Rick escapes custody is exactly like how he outwitted the Zigerions, and Rick's final rant is similar to one he made at the end of the pilot. Yet this episode also goes to great lengths to re-establish the status quo - at least getting Rick back to Earth and getting rid of the Galactic Federation occupiers. The troubled Beth-Jerry relationship does come to a boil and there will be ramifications for the future. Rick promises this will be the show's darkest season yet. "The Rickshank Rickdemption" is an episode for the fans and is so thick with references, callbacks, and in-jokes that newcomers to the series would be lost regarding the wider story beats. For fans, this premiere is what we have longed for and a perfect experience. It whets the appetite for future adventures with Rick and the Smith family. Let's just hope Justin Roiland and Dan Harmon are not too cruel in keeping us waiting for the rest of the series.